Wait – but she’s not Bella Hadid! The Weeknd was caught by the paparazzi with a mystery brunette in his car, leaving a Hollywood nightclub. Who is she? 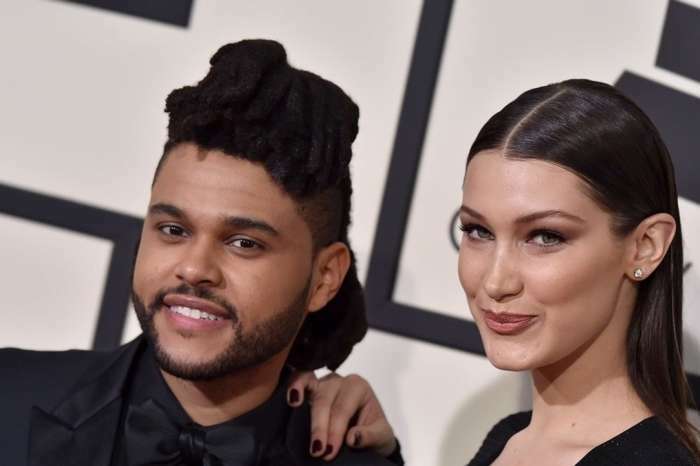 It looks like Abel has moved on from ex Selena Gomez after their breakup with someone else. After he and the unidentified woman left the club, they were photographed in his car as she tried her best to cover her face. As you probably remember, ever since he and Selena put an end to their romance, The Weeknd deleted all traces of her from his social media platforms. Not too long after the split he was spotted grinding with another mystery woman in a club. It looks like he’s enjoying his single life! But it really seemed like he was trying again with his ex Bella Hadid especially because he was caught leaving her apartment after his breakup from Selena. It looks like the supermodel and the singer can’t quit one another, but at the same time, The Weeknd doesn’t seem able to quit other random women either! Meanwhile, Bella has been spending quality time with her family. She and her sister Gigi, as well as their brother Anwar, had the time of their lives at the New York Rangers game on December 19. The family was also accompanied by none other than Zayn Malik’s mother! Anwar’s girlfriend, Nicola, was there as well. In recent interviews, Bella has claimed that she is currently focused on her career and her family. That being said, and seeing how The Weeknd can’t really let go of his single life, it looks like we’ll have to wait and see if they ever officially get back together or not.